This year's Annual Symposium will focus on pietre dure. Organised in association with the Rosalinde and Arthur Gilbert Collection at the V&A, it will bring together an impressive line-up of international scholars, who will share fresh research from Britain, India, Italy, Spain, Russia and the United States, illustrating recent acquisitions for museum collections and exciting discoveries on the international art market. There will be a demonstration of pietre dure materials and techniques by Florentine-trained Thomas Greenaway. The event coincides both with new publication and exhibition projects from Washington D.C. and London and with the British Royal Collections Trust exhibition at the Queen’s Gallery Russia, Royalty and the Romanovs which includes Russian hardstones. Tickets have now sold out. Please contact the Events Secretary to be placed on a waiting list. To complement this year’s Annual Symposium on Pietre Dure, organised in association with the Rosalinde and Arthur Gilbert Collection at the V&A, three further events have been made available to attendees of the conference. 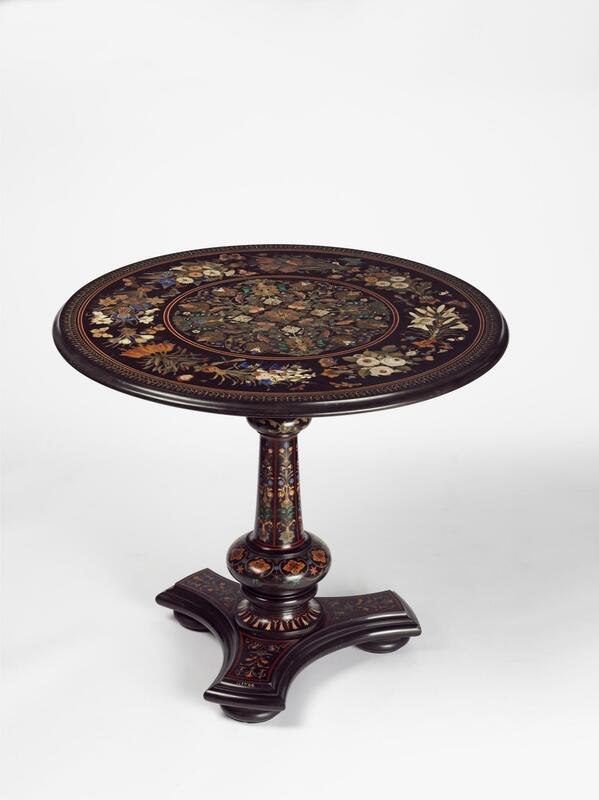 The Gilbert Collection holds a selection of exceptional Pietre Dure objects which have barely been on display since their transfer from Somerset House. This study day will provide unparalleled, expert-led access to pieces, and will be divided in 2 sessions: In the morning, access to V&A storage, and in the afternoon, guided tour of the new Display of Pietre Dure objects in the Gilbert Galleries, South Kensington. Limited tickets for this small group session will be made available to attendees of the Furniture History Society’s Annual Symposium, on a first come first served basis. Location: 10:00 – Blythe House. 14:30: Gilbert Galleries, The Victoria and Albert Museum. 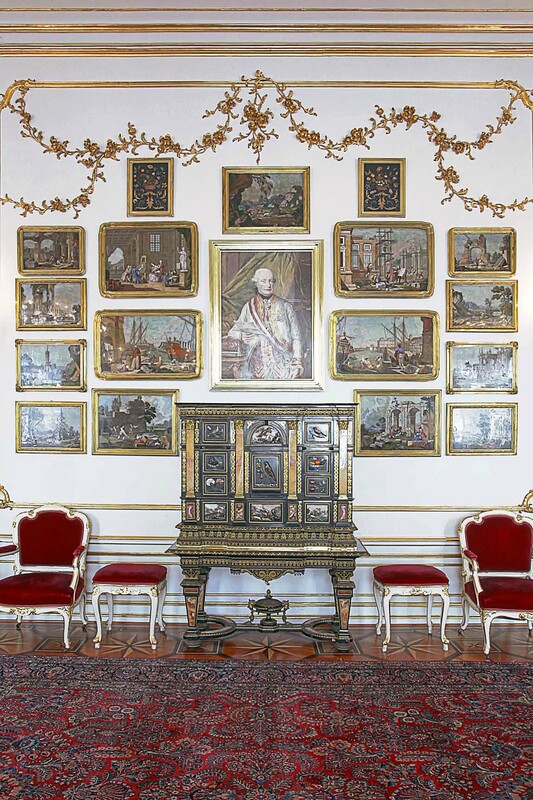 There will be a fantastic opportunity to attend a guided visit of the Russia Exhibition at the Queen's Gallery led by Caroline de Guitaut, Senior Curator of Decorative Arts, The Royal Collection. Limited tickets will be made available to attendees of the Furniture History Society’s Annual Symposium, on a first come first served basis. Location: The Queen’s Gallery, Buckingham Palace. Hinton Ampner in Hampshire holds a significant collection of Pietre Dure amassed by Ralph Dutton in the twentieth century. On this Curator led study visit we will examine key pieces, as well as exploring the grounds and the house. The £30 fee covers travel to and from the house from the V&A, and the entrance fee. Lunch is not provided, but the café onsite will be available.